With Christmas right around the corner, you’re probably wondering what you should get for your kids. 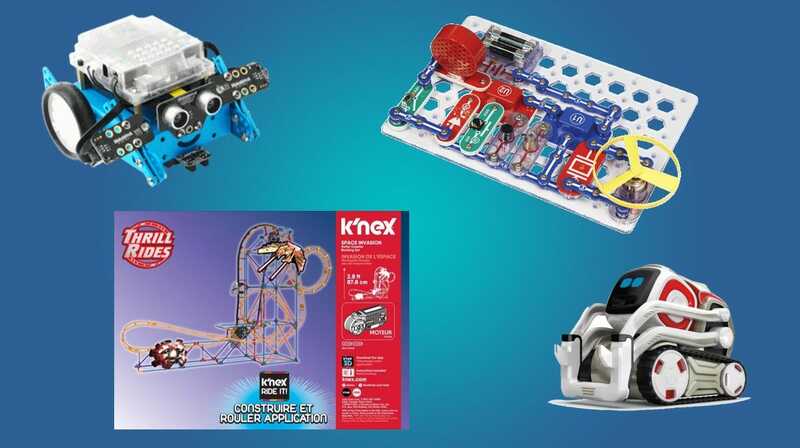 Make those presents meaningful and beneficial by getting your children educational, geeky, and science-themed toys and kits that put a fun spin on learning new things. We’ve chosen toys related to coding and circuits, building and construction, earth and space, science experiments, and robotics. If you’ve read our articles on engineering, coding, robotics, electronics, or science kits, you know how important teaching kids about STEM is, especially at a young age. Make this Christmas a great one by checking out our top picks on Black Friday geeky science toys below.